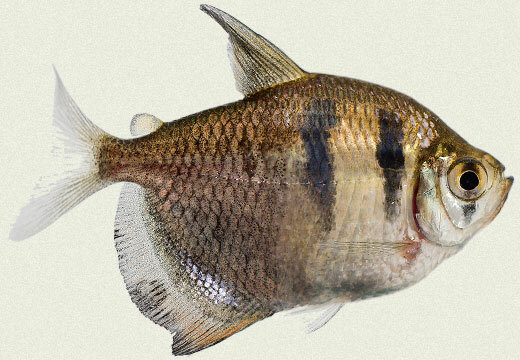 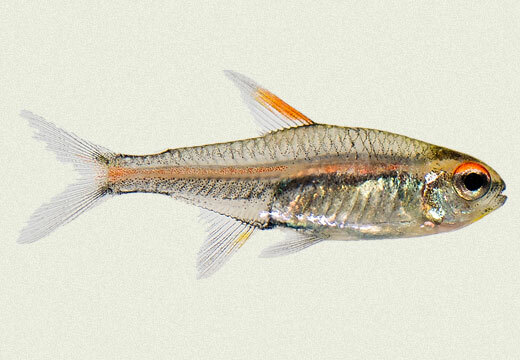 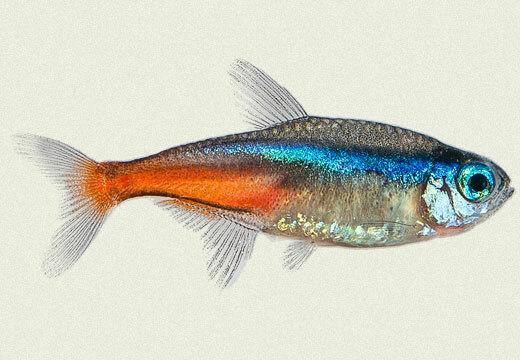 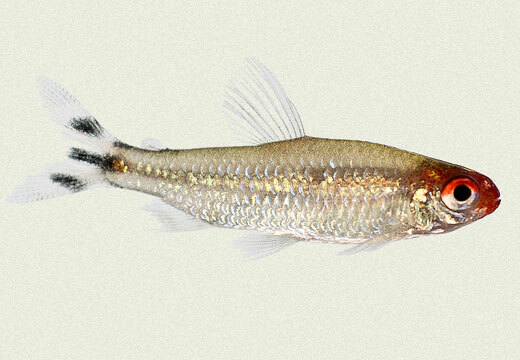 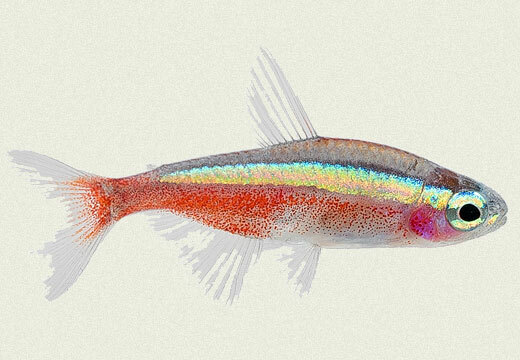 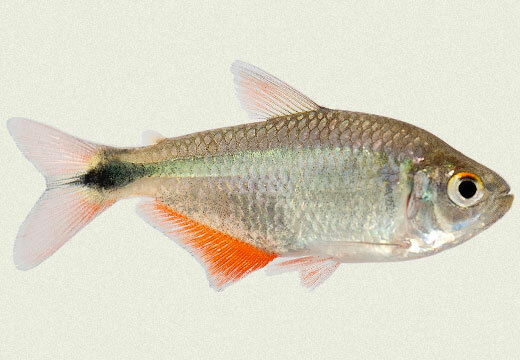 Tetra are species of small freshwater from Africa, Central America and South America belonging to the biological family Characidae. 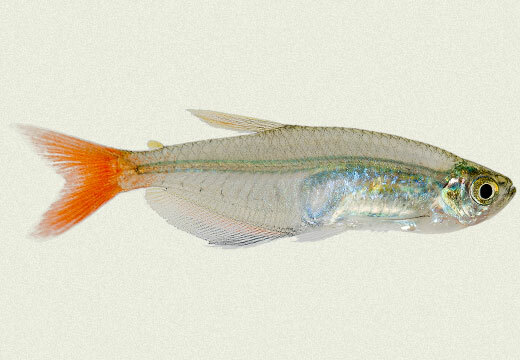 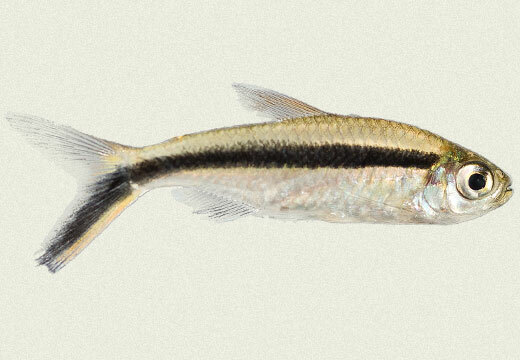 The Characidae are distinguished from other fish by the presence of a small adipose fin between the dorsal fin and caudal fin. 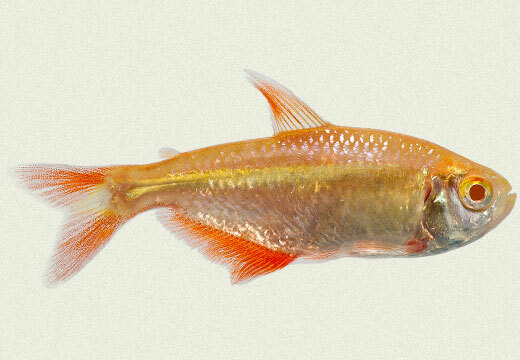 Many of these, such as the neon tetra (Paracheirodon innesi), are brightly colored and easy to keep in captivity. 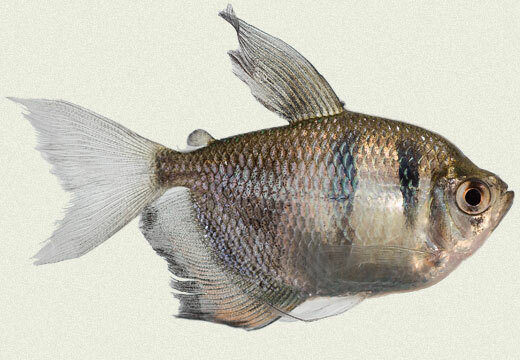 Consequently, they are extremely popular for home aquaria.